At the beginning of the year 2000, I started receiving divine revelations and there was only this humble self at that time, and I got the instructions from Allah to share my revelations with Zafrullah Domun Sahib who by the grace of Allah was receptive to the Divine Call. He was the first person to have believed in this humble self. And thus began what we call the Divine Manifestation in Mauritius. He too received many dreams, signs and revelations from Allah in support to and confirming my truthfulness as a Man of God, receiving revelations through the Ruh’il Quddus (Holy Spirit). Allah later on referred to us as two brothers (twins) and His friends (Khalillullah). I supplicated a lot to Allah in favour of my brother. I considered myself weak and hopeless, and did not know how the people would react to my receiving divine revelations. Allah consoled me and listened to my prayers, and in the year 2003, during the first Safar Zikrullah (Spiritual Journey/ Camping) of the Divine Manifestation, after the creation of the Jamaat Ahmadiyya Al Mouslemeen under Divine instructions (but before its actual and legal registration on 08 May 2003), Allah also elevated Zafrullah Domun Sahib through this humble self’s revelations as a second Amir’ul Mumineen. He was to receive from then on, through duahs and my sincere brotherly love for him many other titles of honour from Allah. 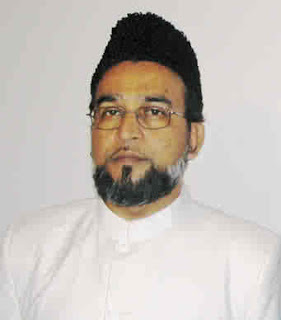 These honours came because we were both expelled from the Nizam-e-Jamaat on the basis of divine revelations, because he believed in the revelations which I received from Allah at the time. 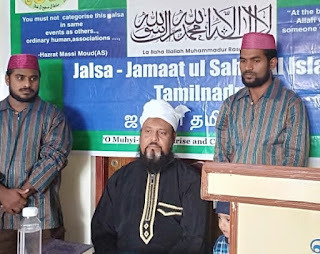 Through the evil plots from the Amir of the Ahmadiyya Muslim Association of Mauritius of the time, Mr. Amine Jowaheer, and the members of his Managing Committee, I was expelled from the Nizam-e-Jamaat by the fourth Khalifatul-Massih Hazrat Mirza Tahir Ahmad but signed by the Wakil-ut-Tabshir, Majid Tahir. Many people from the Ahmadiyya Muslim Association thought that we will live without a Jamaat, and they used to humiliate me and all the people who believed in me. They persecuted us, blaming us with falsehood, and backbiting us on the mimbar (pulpit) of Hazrat Muhammad (pbuh). They spoke lies, and spread false accusations. And Zafrullah Domun Sahib was expelled also only because he has believed in him. He was called stupid for having believed in Munir Azim. I was deeply touched by his vote of solidarity and belief and Allah also guided him to accept this humble self, and Allah made him much later on like Harun is to Musa (as). Like the Holy Quran and the history of religion tells us, Harun became a prophet only through the duah of the main (law-bearing) prophet of Allah, Hazrat Musa (as). Allah accepted the duahs of Hazrat Musa (as) in favour of Hazrat Harun (as) as a helping hand, a Minister (Wazir) for Hazrat Musa (as). This was also the case for Zafrullah Domun Sahib. In this era, Musa and Harun became alive yet again, but then unfortunately, Satan came to create many havoc (disorder) between us. Thus, many things came between us: doubts, arrogance and somewhat of what is called hypocrisy and lots of family feeling and hearsays which he preferred to listen to instead of maintaining his faith in my truthfulness. What I am putting before you today my dear ones is the truth. And this is not Ghibat (backbiting). He was a very intellectual, spiritual and upright person and I had high regards and respect for him, but unfortunately, Satan succeeded in pushing him away from me. The split became inevitable. Now, Zafrullah Domun Sahib, whenever he talks about the beginning of the Divine Manifestation prefers not to mention my name and the vital role this humble self played, but he forgets (or prefers to forget) that without my advent (coming) and my receiving divine revelations, and him accepting me, there would have not been any Divine Manifestation in this era and there would have not been the creation of the Jamaat Ahmadiyya Al Mouslemeen. He would still have been in the mainstream Jamaat Ahmadiyya. Since my clash with him, the majority of the members of the Jamaat Ahmadiyya Al Mouslemeen, mostly his family members preferred to stay with him, and only a handful remained with me, but Allah continued to favour us and reassure us that it shall be us who shall have victory in the field and that in the event of him detaching himself from me, then Allah shall show clearly that He is with His Muhyi-ud-Din of this era, that is, this humble self. Allah once revealed to me: “If tomorrow, everybody leaves you, and Allah is with you; then everybody is with you. But if Allah leaves you and everybody is with you; nothing is with you”. This proved to be true, when the majority of my disciples left me and chose Zafrullah Domun Sahib over this humble self. They started projecting letters which hurt my feelings despite I have sent them a very respectable letter in which I asked them to work for Deen-e-Islam. In this case also they put forward their degree of lowliness when they published an article against me. Moreover they sent me a legal letter threatening me that they will proceed the matter to mundane court if I ever continue to use the name of Jamaat Ahmadiyya Al Mouslemeen. But Allah, as we all know, always remains with His chosen Ones. By the grace of Allah, it was not too far till Allah made people from another land, i.e. 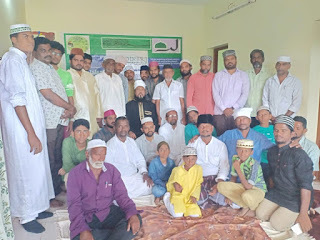 India, in the State of Kerala to come to know about my claim, and they were Ahmadi Muslims also and Allah gave them signs of many kinds and they got firm faith, accepted my truthfulness and integrated the Jamaat Ul Sahih Al Islam. Many other countries followed, the nearby islands and in Africa also, Trinidad and Tobago, Indonesia and many other countries. There were seekers of truth all around seeking explanations and they believed in this humble self by the grace of Allah. 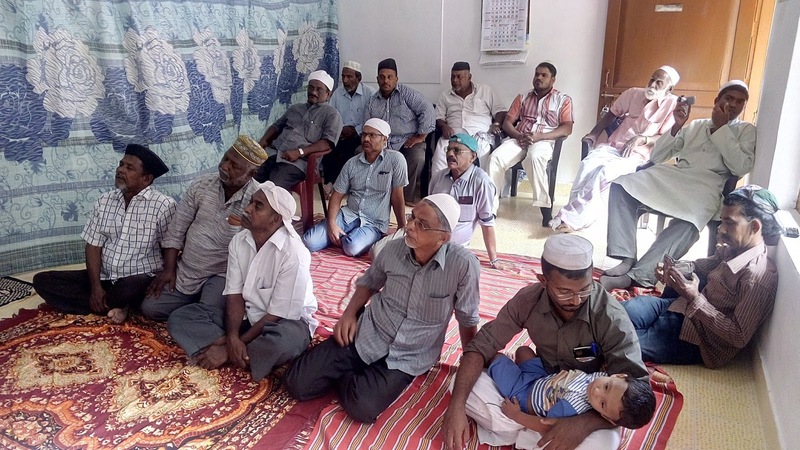 Later on, many of them remained firm in their faith, while others cut connection and communications with me. Indeed Allah knows the extent of their faith, for verily I am only a Warner and Giver of Good news. If after they have seen clear signs of Allah concerning my truthfulness and they renounce in this blessed faith, then they shall be subject to the wrath (anger) of Allah, for they believed and then rejected those beliefs. 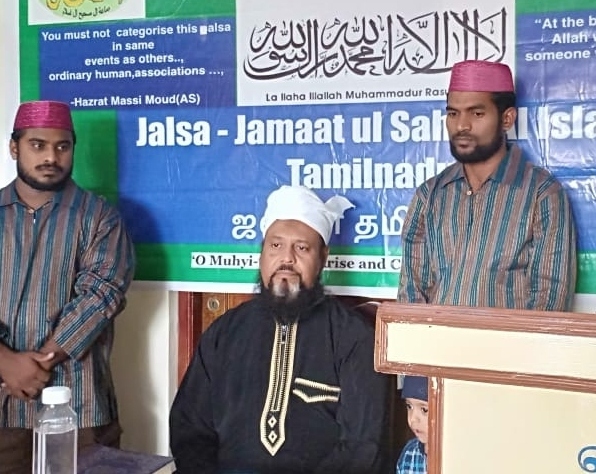 So today, yet again the Khalifatullah has come to India in the blessed month of Rabi’ul Awwal. Like I have keep on saying over all these years, ISLAM is the most perfect religion and the prophet of Islam Hazrat Muhammad (pbuh)’s prophethood is not only for one century. He is the living prophet of all times as the fruits of his prophethood will appear in all eras and will continue to manifest in the future. After the many trials which I had to go through for the pleasure of Allah, and under His instructions, He further elevated my status little by little and made me a reflection of the Holy Prophet of Islam (pbuh). I do not proclaim to be absolutely perfect, for as a man, I am weak, but as a Messenger of Allah, let me tell you, that I have Allah with me, and it is Allah Who is my shield against all dangers. He is the One who protect me and His Divine Manifestation of this era, and the promised spiritual revolution has come to be under the banner of the Jamaat Ul Sahih Al Islam and the Khalifatullah of the age. You all here are a living sign of this promise, and I pray to Allah that He keeps you ever firm and sincere in His blessed Jamaat until your last breath on earth, Ameen. Mind you, the envoys of Satan – those who reject the truth and try to persecute you - will try to deviate you from the path of Allah, but it is for you to maintain firm your Islam and Iman (faith). The same advice which I gave my first disciples at the beginning of the Divine Manifestation, I give you the same advices and instructions. Do not let yourselves be affected by family feelings which can rip away your faith in Allah and in His Messenger of your times. Remember, my mission to make you come closer to Allah, and Allah shall light up your hearts in extraordinary ways. Be hard workers of the Divine Manifestation and be honest and sincere in your works. Insha-Allah, through you, through your golden efforts, other people shall join our ranks – believers of quality, and Insha-Allah, together we shall march from victory to victory, not for our own sake, but for the sake of TRUTH, for the sake of ALLAH, and to re-establish the lost glory of ISLAM. Insha-Allah.